Dusk settles in over the wetlands of Lauwersmeer National Park in the Netherlands. The International Dark Sky Association (IDA) today certified Lauwersmeer National Park in Friesland and Groningen, Netherlands, as only the second International Dark Sky Park in Holland. The designation for Lauwersmeer is special because the Netherlands is one of the countries with most light pollution in the world. One of the newest national parks in the Netherlands, its territory is also some of the country’s newest land. The 60 square kilometer (23 square mile) site was underwater until 25 May 1969 when the former Lauwers Sea was enclosed and separated from the Wadden Sea and the land under it reclaimed. The former salt water body was gradually replaced with a freshwater lake that has since become home to a wide variety of plant and animal species. It has also become a birdwatcher’s paradise, as hundreds of thousands of migratory birds each year use Lauwersmeer as a stopover point. The Province of Groningen and the Forestry Commission, known as the Staatsbosbeheer, together submitted the park’s nomination to IDA. The Dark Sky Park is among the projects of the “Lauwersmeer 2014-2018” implementation program of the Lauwersmeer Steering Group, in which the Provinces of Groningen and Friesland and the municipalities The Marne, Kollumerland and Dongeradeel work together. Real darkness is becoming rarer as night lighting increases worldwide. Man and nature are threatened by these changes. Because of artificial outdoor lighting, the evening and night become shorter. People need darkness for a good night’s sleep. Artificial night light can, in many ways, influence the life cycle and behavior of animals. For example, under too little darkness bats’ search for food is harmed. With Lauwersmeer National Park, the IDA has now 41 International Dark Sky Parks around the world. About half of them are located in the United States of America. 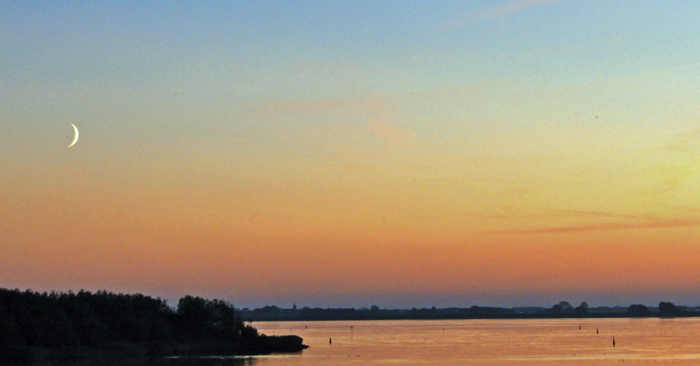 The Lauwerslake area is the second Dark Sky Park in The Netherlands. In 2015 the Boschplaat on the island of Terschelling received the first such designation in the Netherlands. The Forestry Commission plans an ‘I’m Not Afraid Of The Dark’ walk through the national park on Friday, 14 October and encourages both adults and children to attend. A Staatsbosbeheer ranger will guide this exciting walk through the dark forest along the margins of the park’s wetlands. The hike begins at 8 p.m. at the from the activity center, Rug 1 in Lauwersoog, and lasts until 10 p.m. Participation in the program costs 5 euro per person. Signing up for the walk in advance is recommended; for reservations, please email sbblauwersmeer@staatsbosbeheer.nl. Next post: 5 Ways to Celebrate Dark Sky Week!